The "Portico" update for Windows Phone 8 has been in the works for a while, and is planned to be pushed out to devices very soon. 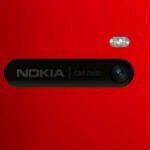 T-Mobile has said the update will come to the HTC 8X tomorrow, and Nokia has promised it for some time this month. Now, we're finding out that the version of the update for the Lumia 920 will bring improvements to the picture quality. The new "floating lens" Carl Zeiss camera has been one of the major selling points for the Lumia 920, and while the low-light pictures have been far far better than anything that we've seen on a smartphone, the daytime photos and video had been somewhat disappointing. But, it looks like the Portico update is going to fix that and bring some impressive improvements to the camera picture quality. I CAN notice the noticeable improvements on the camera! I've already let John know that redoing the camera test would likely be called for by you guys. Is WP9 coming next year or in 2014? Hard to say, because Microsoft doesn't have a long track record with WP to draw on. I'd guess next year brings WP 8.5, then 2014 brings WP9, but I really don't know. And, there's always that weird Windows Blue thing that could change the cycle. Sorry, you gotta ask John on that one. I'm just repeating what he said. I haven't had a chance to test the phone. The differences are subtle. Look at the fence in pic #1. It def looks better in the improved one. Still can't tell whether or not the edge sharpening is gone. Pic 5 looks better on the left due to colors. Looks great! The difference are quite substantial. The pictures looked sharper and the colors looked more natural. Hopefully the update will roll up in the next few days. This Is Further Proof Of The Consumer Respect, That the Finnish Giant Pays De Form Continues! This Update is More Than Are Coming, Once Performance Photo DAY From Lumia 920 PureView LITE I Was Disappointed Too, So How Many Users Amateurs And Professionals Technology And Photography, In Practice What They Hoped The Best Solution In Image And Video ! Now I Believe In FACT, Why Assumptions And Not Fanciful, Lumia 920 PureView LITE If Make The Best Solution From 8 MP Market(IPhones And Galaxies Overcoming Life) Losing Just For Consecrated NSeries N8 And To The “KING” 808 PureView PRO !!! P.S: A Pen That This Preciousness Only In Brazil Arrive In March 2013 !